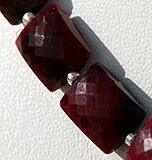 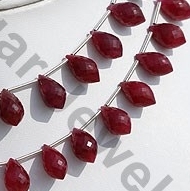 Measuring the hardness of 9.0 on Mohs scale ruby is one of the most expensive gemstone beads of Corundum family. 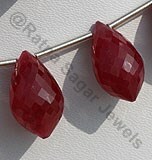 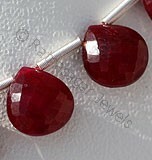 The history of Ruby gemstone dates back to ancient time when it was considered as the king of gemstones. 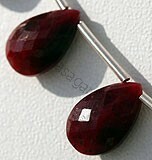 Ruby is considered as the stone of Sun due to which wearing of Ruby is considered helpful in exploring courage, dignity, ambition, and power. 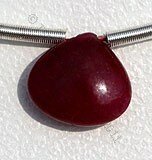 It is also believed that use of this gemstone develops the feeling of optimism to the wearer, however sometimes it also generates the negative energy which might be harmful to the user. 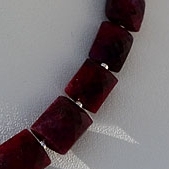 Sometimes rubies carry few imperfections due to color impurity as the result of which to enhance its color they are heated with red color due to which they are recognized as red ruby. 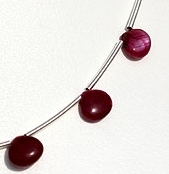 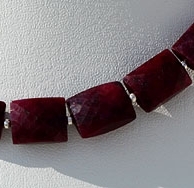 It is also said that use of ruby is helpful in exploring the professional life of a person and therefore is also considered as the lucky stone for professionals. 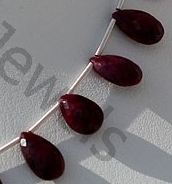 Dyed Ruby Gemstone beads is red variety of the mineral natural Corundum, dyed and heat treated to enhance color, possess property of translucent and are available in dark red color with micro cut, Rectangle Shape. 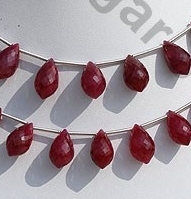 Dyed Ruby Gemstone beads is red variety of the mineral natural Corundum, dyed and heat treated to enhance color, possess property of translucent and are available in dark red color with micro cut, Flat Pear Shape. 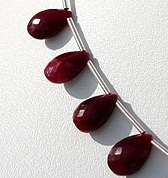 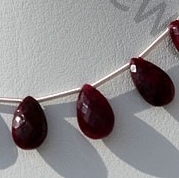 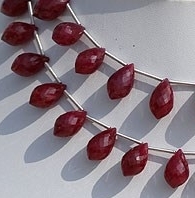 Dyed Ruby Gemstone beads is red variety of the mineral natural Corundum, dyed and heat treated to enhance color, possess property of translucent and are available in dark red color with micro cut, Chandelier Shape. 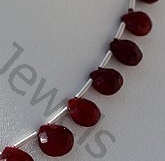 Dyed Ruby Gemstone beads is red variety of the mineral natural Corundum, dyed and heat treated to enhance color, possess property of translucent and are available in dark red color with micro cut, Heart Shape. 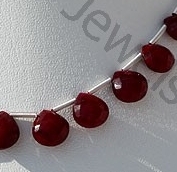 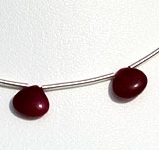 Dyed Ruby Gemstone beads is red variety of the mineral natural Corundum, dyed and heat treated to enhance color, possess property of translucent and are available in dark red color with smooth polish cut, Heart Shape.